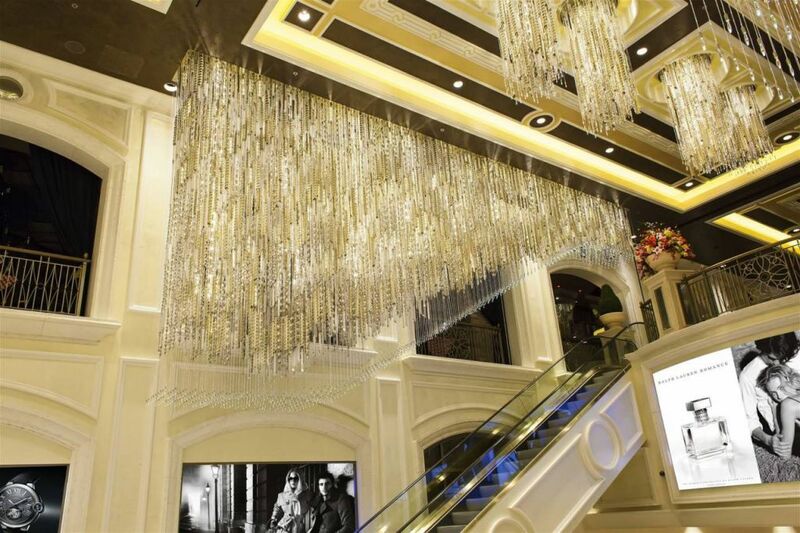 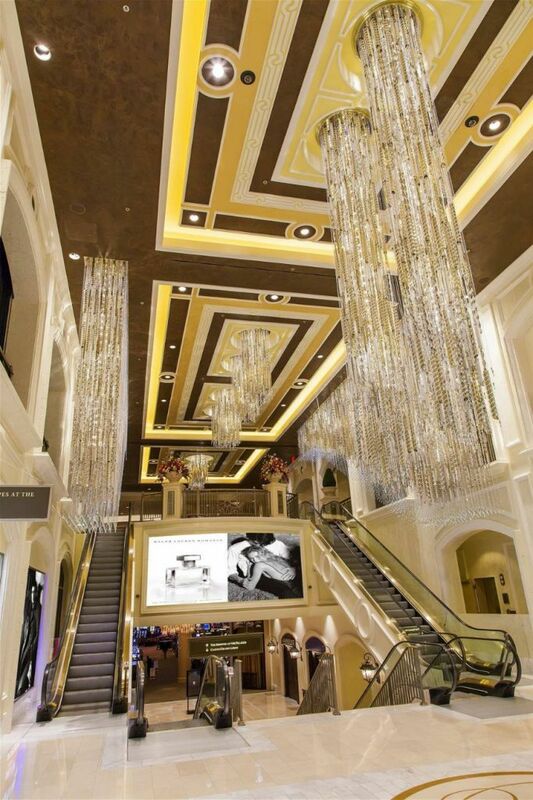 The new Sands Entrance to the luxurious 5-star Palazzo Hotel and Casino in Las Vegas opened just in time for the New Year’s Eve of 2012. 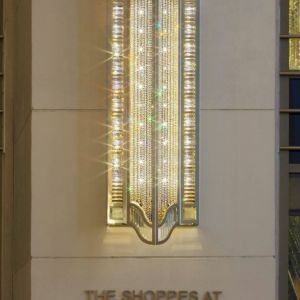 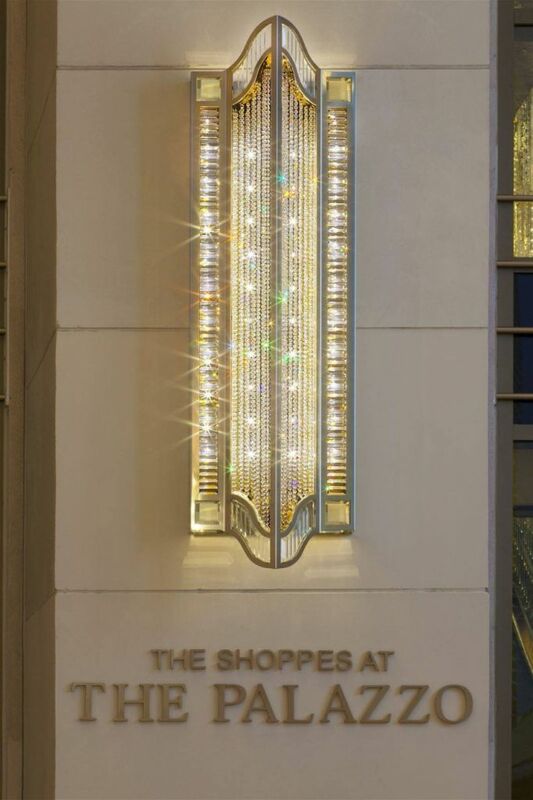 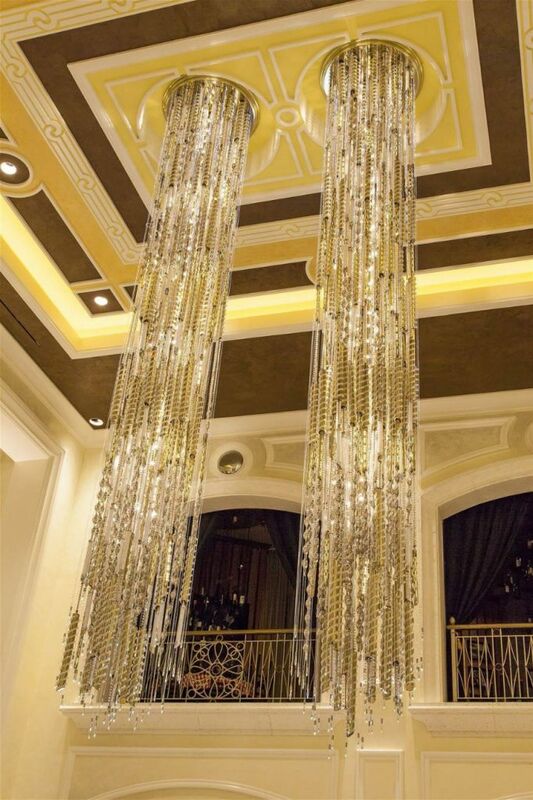 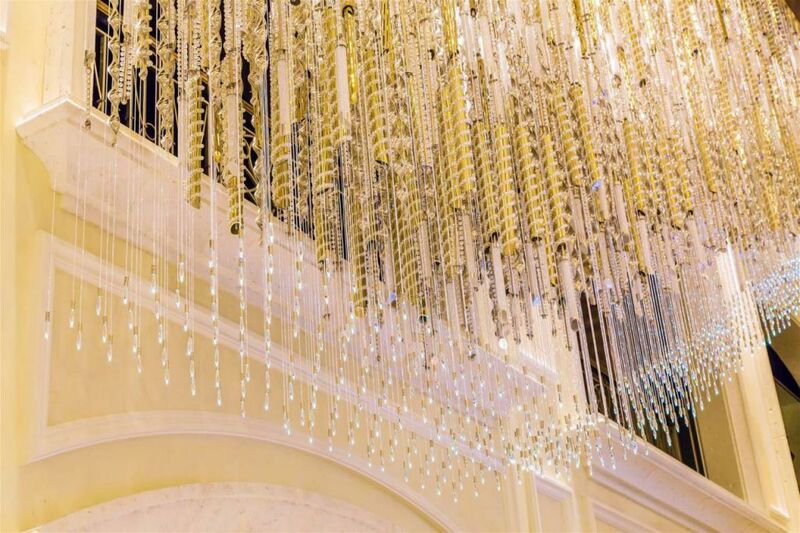 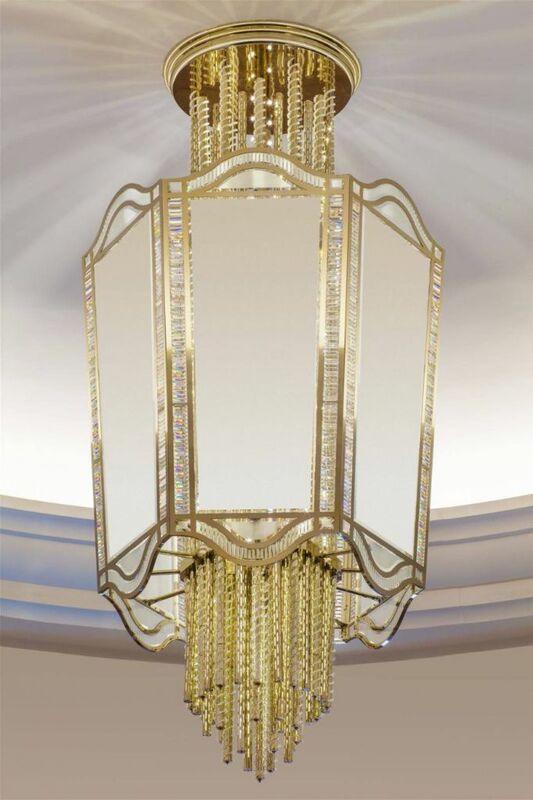 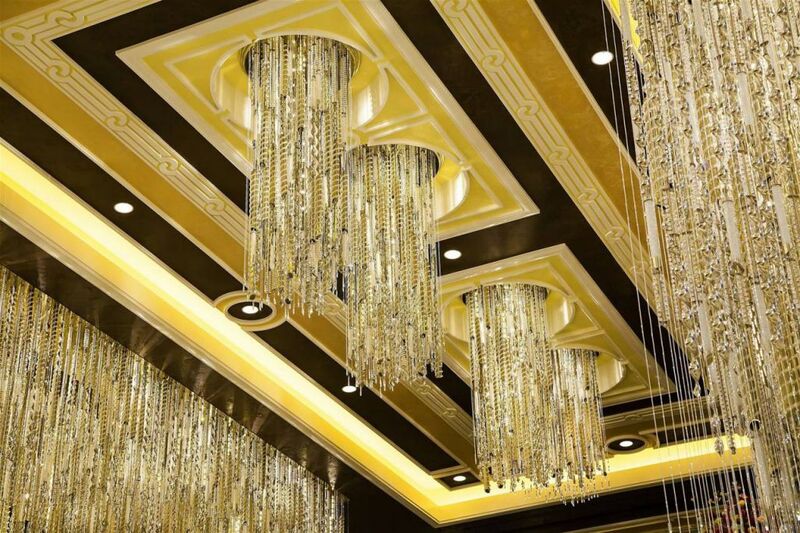 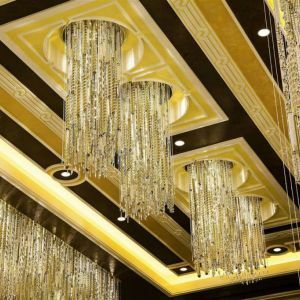 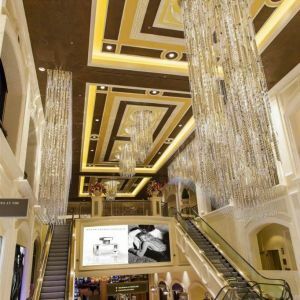 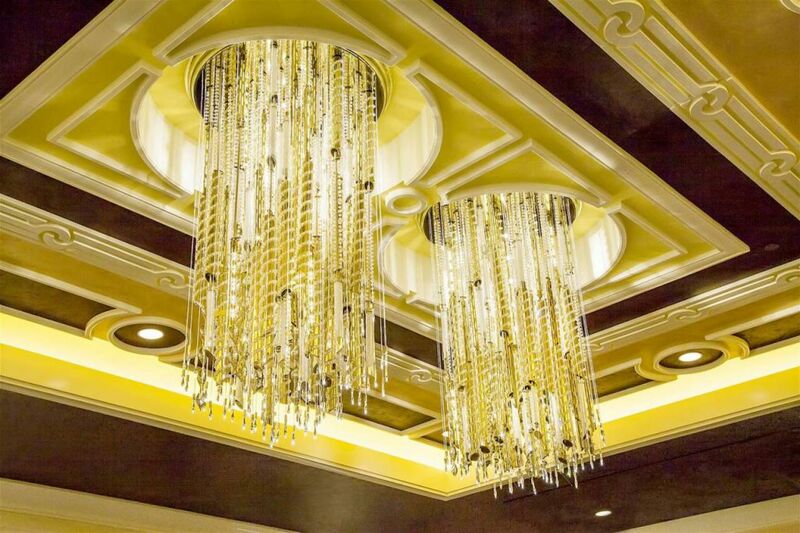 PRECIOSA, in cooperation with the Steelman Partners of Las Vegas, the Sands Corporation’s interior design team, and Margaret Wischemeyer Fried Lighting Design, created a collection of spectacular crystal and aluminum indoor and outdoor pendants and sconces for the new space. 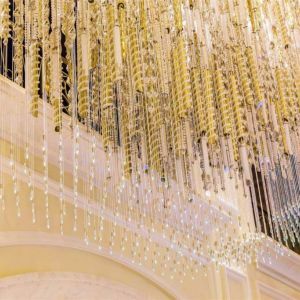 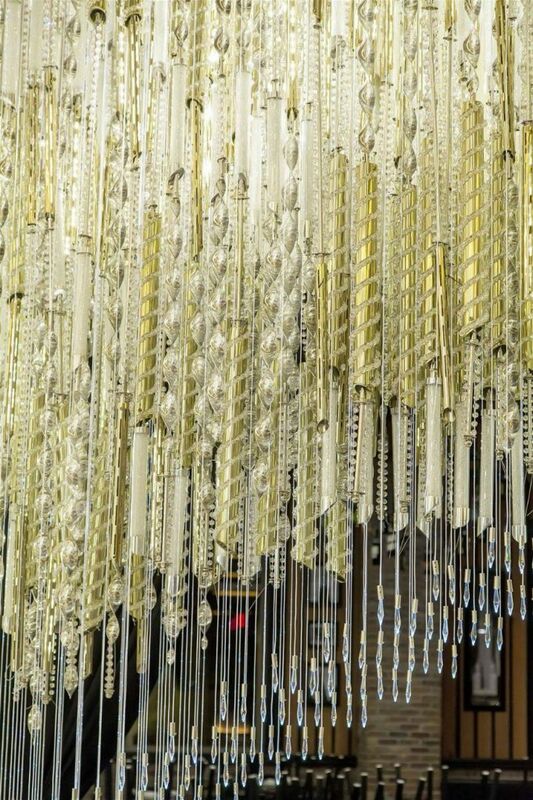 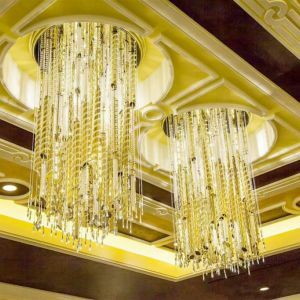 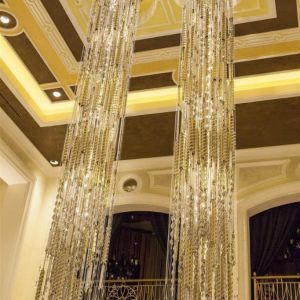 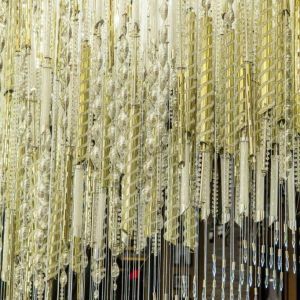 Common elements include fiber optics, LEDs, twisted aluminum ornaments, chains of crystal beads, hollow tubes filled with tiny crystals, and metal cylinders decorated with crystal spirals and stones of the highest quality. 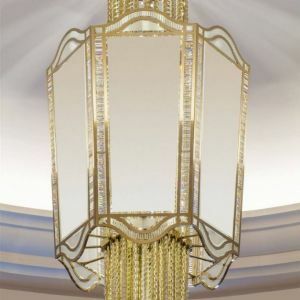 Steel and brass were replaced with aluminum wherever possible to help minimize the weight of the fixtures. 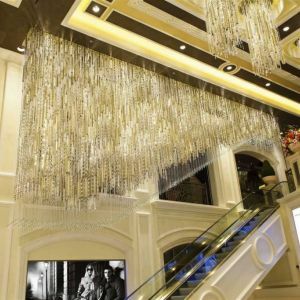 Nevertheless, the largest fixture, an 11-meter pendant installed over the escalators, weighs in at a formidable 780 kg.